Killingly is found in the Northeast corner of the beautiful state of Connecticut. Killingly is a unique place to call home because it is actually comprised of many (7 to be exact) villages and boroughs. While Killingly is famous for its unique composition, at Big Blue Bug Solutions we are famous for our very large mascot “Nibbles”, the 58-foot blue termite found on the roof of our Providence Headquarters. But we want you to know that in addition to Nibbles we are just as famous for our trustworthy, quality pest control services. For more than 80 years we have been protecting New England homes and businesses from annoying, dangerous, and destructive pests. Contact us today to learn more about how our pest control solutions can create a pest-free environment in your Killingly, CT home or business! Contact Big Blue Bug Solutions today to get started defending your Killingly home from common New England pests! Remove their food sources: Carpenter ants typically first invade a property not looking for shelter, but while foraging for food. Once they find a consistent food source, they typically decide to stay and nest in places like behind the walls and underneath floors. Make sure outdoor trashcans have tight fitting lids, keep food in the refrigerator or in containers with air-tight lids, and quickly cleaning up spills and crumbs can help to deter carpenter ants from your property. Seal-up entrances: Seal cracks found in your home’s exterior walls, caulk gaps found around windows and doors, install door sweeps under exterior doors, and fill in spaces around utility lines and cables. Reduce moisture and humidity in your home: Carpenter ants are attracted to moist or decaying wood, repair leaky pipes or fixtures, and use dehumidifiers in basement and attic areas. Reduce vegetation near your home: Trim back trees and bushes from the exterior of your home; carpenter ants can use their branches as a highway to your home. At Big Blue Bug Solutions our carpenter ant solution offers the complete elimination of any size infestation from any property. Our carpenter ant solution is customized to meet the needs of each of our customers, is extremely effective, and is backed up by a one-year warranty. Contact us today to learn more about our solution to carpenter ants. Every business owner wants their commercial facility to become and stay pest free, and with the help of the commercial pest control experts at Big Blue Bug Solutions, that want can quickly become a reality! Our monthly maintenance program provides the year-round pest control your facility needs to be a pest-free zone. Our dedicated, friendly, and highly knowledgeable professionals will provide your business with year-round once a month visits. During these monthly visits, they inspect and monitor your facility looking for pest activity, in addition to completing preventative treatments. If any pest problems are uncovered during a visit, if possible they will be taken care of immediately. 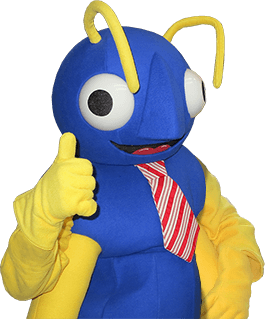 Trust your business to our business; contact us today to learn more about our commercial pest control services and why you should choose Big Blue Bug Solutions for your Killingly commercial property’s pest control needs! Contact us today at Big Blue Bug Solutions to learn more about TAP insulation being installed in your Killingly, CT home!